Could you please guide on this query asap? Is mandatory to take the Spring Core exam first of all? or instead if someone already know about spring core can take the Spring integration exam (after take the course)? it is strongly suggested by pivotal to take first the Spring Core Course and Spring Core Certification ! However, you can try to jump straight to the Spring Integration one, if you want. We use Spring Integration all the time and I can tell the certification has an higher degree of complexity if you do not know the basic properly. First of all, I want to thank you John for this post ! Thanks also for sharing your experience with us ! So at http://www.springmockexams.com we did the upgrade too! Which Spring Framework Certification Exam is latest and how do we prepare for it ? Thank you for sharing useful information on the exam. For anyone preparing for the 4.x version of the exam (now called Pivotal Certified Spring Professional), there are practice tests at below. Just in case you need below. Best Regards. Can you please explain what are the differences between spring 3.2 exam and spring 4 exam. I got training from Pivotal and received “core-spring-4.0.b.RELEASE-student-handout”. Exam 3.2 is SpringSource Exam where as Exam 4.0 is Pivotal exam. Does exam pattern got changed in version 4? I am little confused and not sure what extra preparation is required for exam version 4.
if you have got the core-spring-4.0.b.RELEASE-student-handout it means you have taken part to the Spring4 course. Do not worry about the fact that the course it is now under the “Pivotal” name. Pivotal acquired SpringSource and so the name changed. You can definitely go for the Spring4 exam! 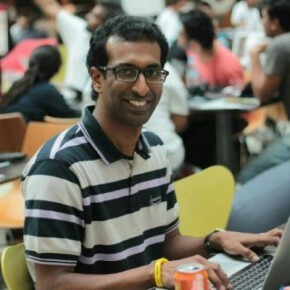 I am working on Spring Framework from more than 2 years now and worked on Spring MVC, Spring Security and Spring REST modules. I wish to appear for the exam, now by going though this link I got enough fair idea that I need to take “Spring Professional” exam first and then “Spring Secialist” and then “Expert”. For making preparation, I’m just following “spring docs” nothing else. Is there any free online simulator or dumps that will help to pass this exam? Any quick inputs are much appreciated. Your first prerequisite is complete the course from Pivotal. How can I get the following exam dumps of Spring Framework certifications? – Spring Professional (Spring Core 3.2.x or 4.0.x) ? 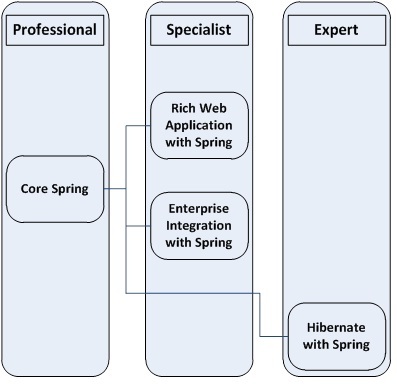 – Spring Expert (Hibernate with Spring)? Hello, I just want to recommend that we have a free section at: https://www.certification-questions.com/spring-free-mock-exams/spring-core-v4.2-practice-test.html with Spring Core Certification Questions where you can find an amazing Simulator to help you study! The simulator is new and it is linked also the the 1z0-808 and 1z0-809 certification.. So that you can increase your study with Spring and Java 8 too.